This is a unique spot. I fell in love at the first photo. How wonderful and beautiful is your country. This is a great place for adventure. I understand why this is a famous volcano. Truly lovely pictures. Thanks for the post and really enjoying your blog. We’re going to be in Manila in the next few days. Is it fairly easy to do this day trip without having to go on an organised tour? As we prefer to do it on our own, or at least with some friends but not on a package trip. Thanks again for doing such a great job on the blog. Hehe, I’ve heard of that place! I’d love to visit someday. Anytime mate! feel free to come! It looks really interesting. As a fellow ring-of-fire dwellers, volcanoes are no strange thing for Indonesians. 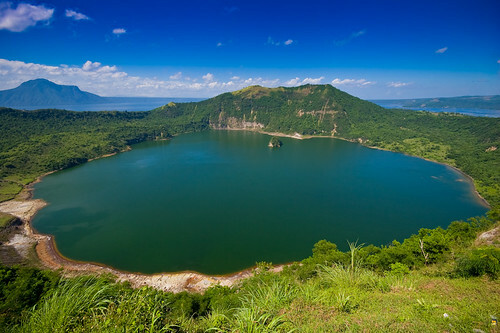 However I don’t think there’s any volcano here in Indonesia like Taal volcano. Island in a lake on an island in a lake on an island..wow! The most appealing part is that it’s only 2-hour away from Manila (that is so close, man). Awesome! I’d like to hear that definitely. Awesome post. My ex is a born-and-raised Filipina but since we split I have not yet returned… my buddy and I are planning our next trip there now tho, can’t wait! Once I have some fresh material I’ll join you for Filipino Fridays. In the meantime, keep up the good work! Wow. I’ve grown up visiting Crater Lake National Park in Oregon, but I hadn’t heard about this amazing spot. Maybe we’ll get there on our travels. Thanks for the introduction. 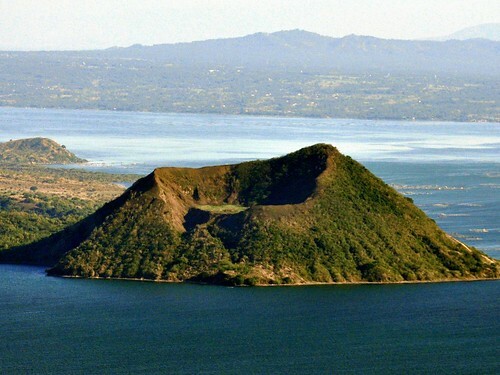 It’s worth the hike/view at the summit of Taal. Easy walk, don’t let the horse (er ponies?) owners talk you into hiring one. That first photo is epic!